The Harbour Master's Directions (HMDs) of Victorian Ports Corporation (Melbourne) (VPCM) contain requirements to facilitate the safe and efficient operation of shipping within the port waters of the Port of Melbourne. The VPCM HMDs also contain guidelines and special directions applicable to recreational vessels and domestic commercial vessels. for recreational vessels undertaking diving activities in Port of Melbourne waters, particularly in Port Phillip Heads. VPCM recently updated its HMDs, which clarify the requirements for masters of recreational vessels intending to conduct diving operations in port waters. The requirement to display a dive flag (pictured) during diving activities is contained within the Vessel Operating and Zoning Rules (VOZR) for all Victorian waterways as well as being repeated within the HMDs. More information: Read the HMDs in full on the VPCM website. 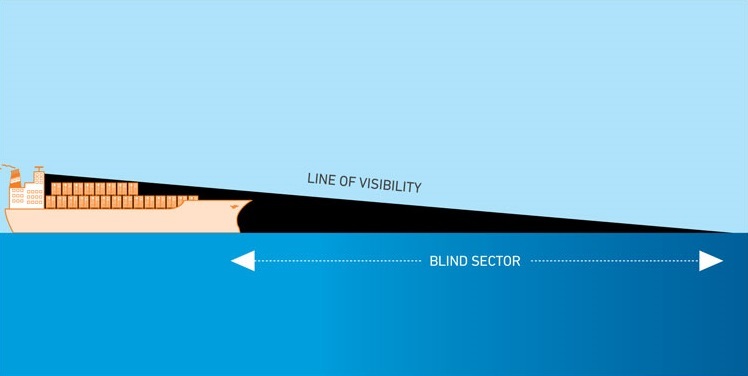 Image: Stay clear of big ships - they may not be able to see you or change course.